Country Walking – February 2017: your new year's revolution! Walking offers the most incredible combination of instant and incremental rewards and we think everyone can benefit – which is why the new issue is dedicated to two BIG things: short walks with incredible wows, and the launch of our epic 2017 Walk 1000 miles campaign. 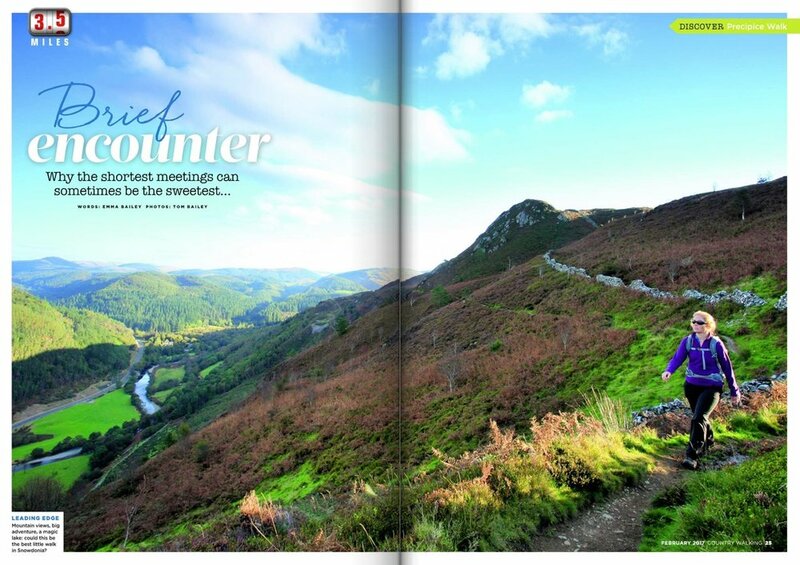 So whether you're just getting started in the outdoors and don't know your map from your elbow, whether you wonder if you can manage 3 miles or whether you really could hit 1000 this year, there's loads in here to get you going and keep you going! From the most beautiful view in the south of England to the most incredible 3.5 miles in Wales, the inspiring tale of the 1000-mile supergran, the giants of Loch Lomond, and from Trainspotting to the Tatras – we promise, you will not be able to contain your feet! Why should I care about #walk1000miles anyway?